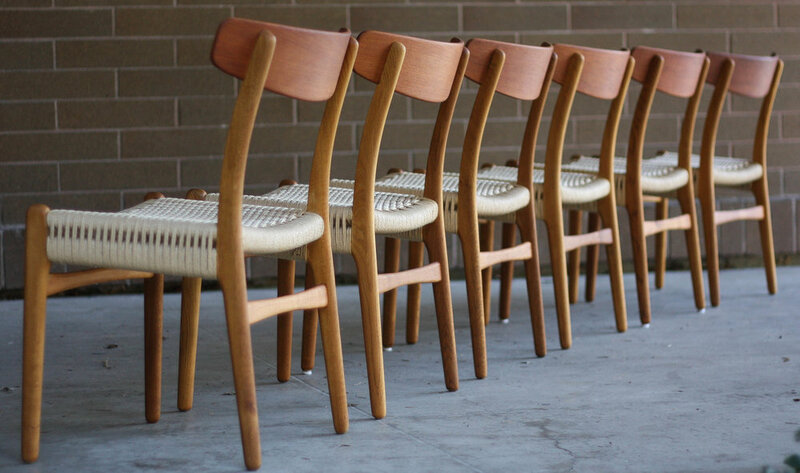 Featured here is an incredible set of six Danish CH23 chairs designed by Hans Wegner and produced by Carl Hansen and Son. 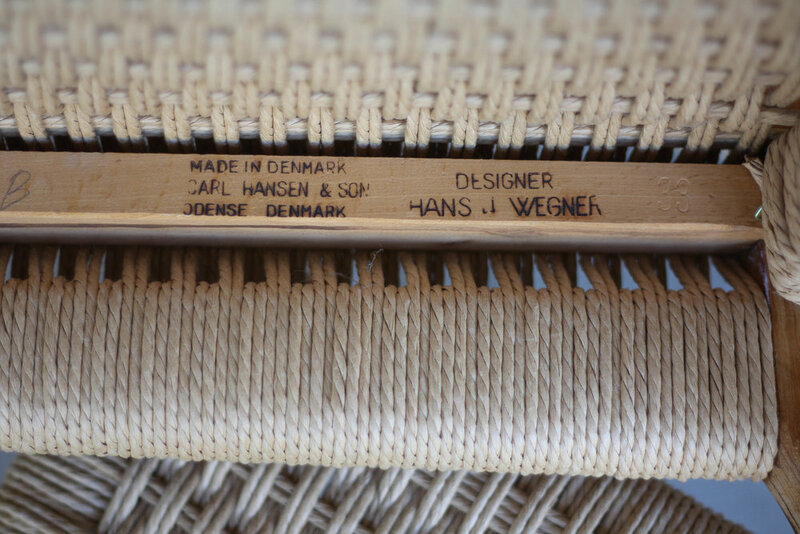 Each chair retains its vintage branding authenticating them. Teak seat backs on an oak frame show vibrant tones of red/orange/gold and turn these chairs in to a piece of art. 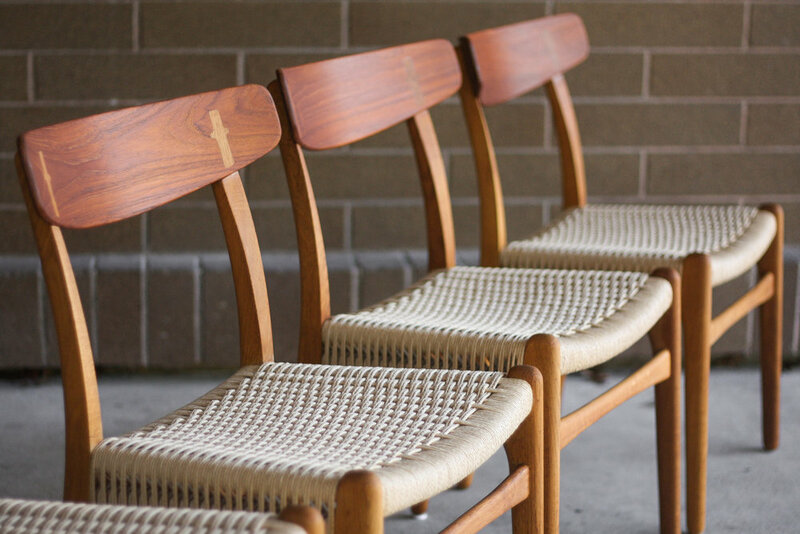 Sculpted legs, stretchers, and the classic woven paper cord seat highlight the master wood working and thought that went in to crafting this set. This set is in very good vintage condition with very light signs of use. Please see the photos as they do a better job as showing the quality/condition than we could ever write.